The N551JK is a multimedia 15 incher to consider. Hardware wise, it's not a lot different than last year's N550JK, but Asus tweaked the screen, the speakers and the cooling system and the result is an evolved product that should satisfy most of your needs. solid built, excellent matte display, good keyboard and trackpad, capable configuration, loud and punchy sound system, runs cool. bit heavy and bulky, small battery, poor wi-fi performance, noisy when idle. Positive: Nice design; high quality screen; powerful processor and graphics; good sound system; good cooling. Negative: Thick and heavy; short battery runtimes. Серията Asus N551JK – универсални бойци! Positive: Excellent build quality; very good keyboard; high quality IPS display; powerful performance; decent battery life; very attractive price. 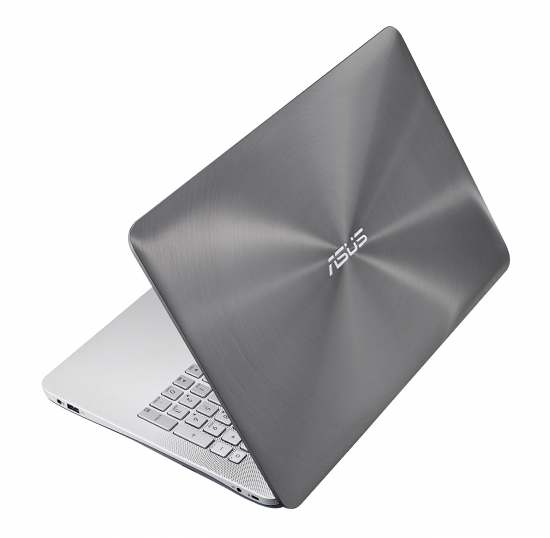 There is no doubt that Asus has the capability to produce beautiful and powerful laptops and the Asus N551JK-CN166H follows in that lineage. 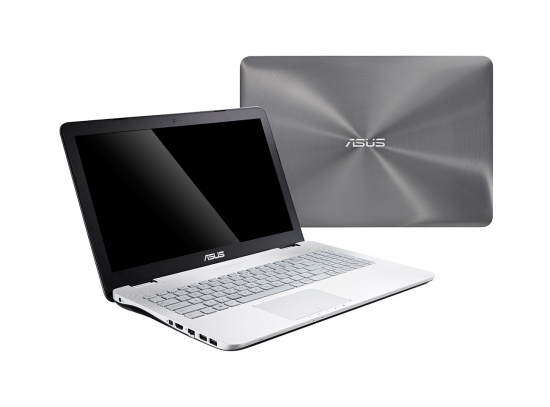 The cover is made from aluminium with the iconic spun metal design surrounding the Asus branding. There is a sense of elegance and luxury with the dark grey cover and dual tone chassis. Even the interior is textured with radial dimple pattern around a silver island-style keyboard. 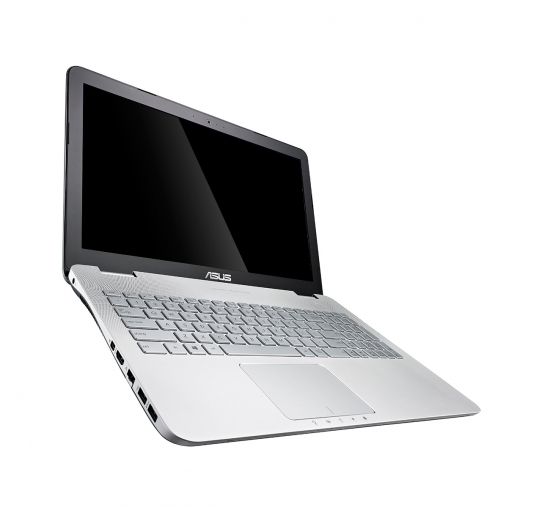 The 15.6 inch display has an aspect ratio of 16:9 and uses IPS technology. As a result, clarity and colors are top-notch. The beautiful display is supplemented with awesome audio from SonicMaster and even includes a portable subwoofer with professional grade sound-processing from MaxxAudio. The hardware on-board consists of an Intel Core i5-4200H processor clocked at 2.8 GHz, 8 GB DDR3L 1600 MHz RAM, an NVIDIA GeForce GTX850M GPU with 2 GB VRAM and a 1 TB hard drive with a 24 GB SanDisk SSD combo. Needless to say that the Asus N551JK-CN166H is as capable as it is beautiful. Other features include three USB 3.0 ports, an HDMI port, a Display port and a card reader. The Windows 8.1 64 bit system also comes with a Blu-ray drive and the entire device weighs in at 2.7 kg. 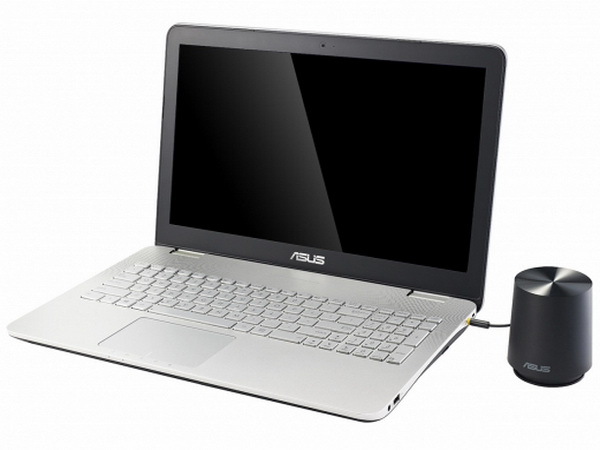 The Asus N551JK-CN166H is powered with 56W Lithium-Ion battery with 6-cells rated at 5200 mAh. Silver entertainer. 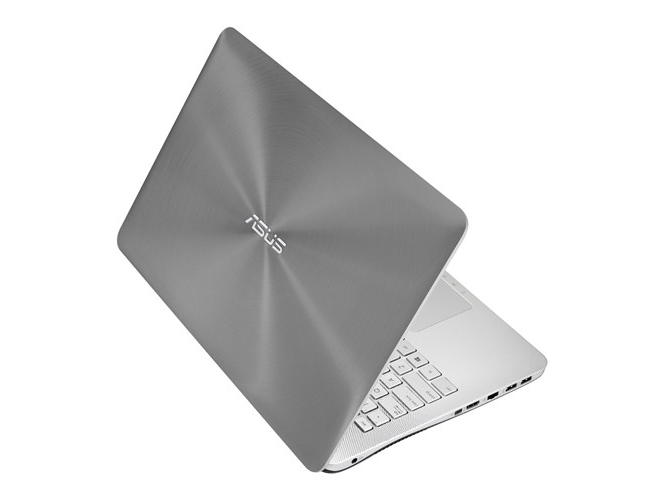 Asus introduces an overall well-designed, representative all-rounder in stylish aluminum looks to the upper-range for approximately 1000 Euros (~$1134). It is even possible to risk a game owing to the GeForce GTX 850M. Only the choice of processor is questionable. Our in-depth report reveals how the device fares in the single tests. The Asus N551JK is a supremely impressive laptop at an almost unbelievably low price, with a good processor, dedicated graphics and a superb screen. At this price, it's the best desktop replacement laptop you can buy. Positive: Good performance; very good display; comfortable keyboard; relatively long batter runtimes; good sound quality and included subwoofer. Negative: Throttling; a bit too delicate frame around the screen; heavy and thick. Positive: Elegant and clean design; comfortable keyboard; high quality sound; very good price / performance ratio. Negative: Bulky and heavy; lack of M.2 slot; poor sRGB color space. NVIDIA GeForce GTX 850M: Upper mid-range graphics card from the GeForce GTX 800M series.NVIDIA GeForce GTX 860M: Upper mid-range graphics card from the GeForce GTX 800M series.AMD Radeon R9 M280X: Performance-class GPU based on the 28nm Saturn chip (GCN-architecture)NVIDIA GeForce GTX 960M: Upper mid-range graphics card of the GeForce GTX 900M series.» Further information can be found in our Comparison of Mobile Graphics Cards and the corresponding Benchmark List. Quad-core APU based on the Kaveri architecture and clocked at 2.7 - 3.6 GHz with an integrated Radeon R7 GPU. Fastest Kaveri mobile model at launch. 85.83%: This is a good rating above average. Nevertheless you should not forget, that 10-15% of all notebook-models get a better rating.» Further information can be found in our Notebook Purchase Guide.